The photo of a carload of provisions from Harrisburg was taken at Centre Street looking NW, on the Philadelphia & Reading rail line. Standing below, from left to right, are Moses Chamberlin, William C. Lawson, William A. Schreyer, James M. Hedenberg, George Barclay, and William P. Dougal. 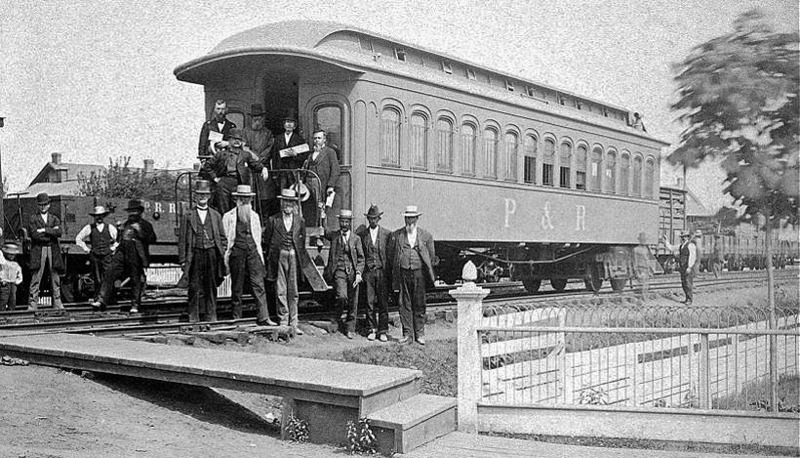 On the platform are, from left to right, are Ruben Wilson, Oliver B. Nagle, Reo Reid, John Wolfinger, and Clement C. Straub.